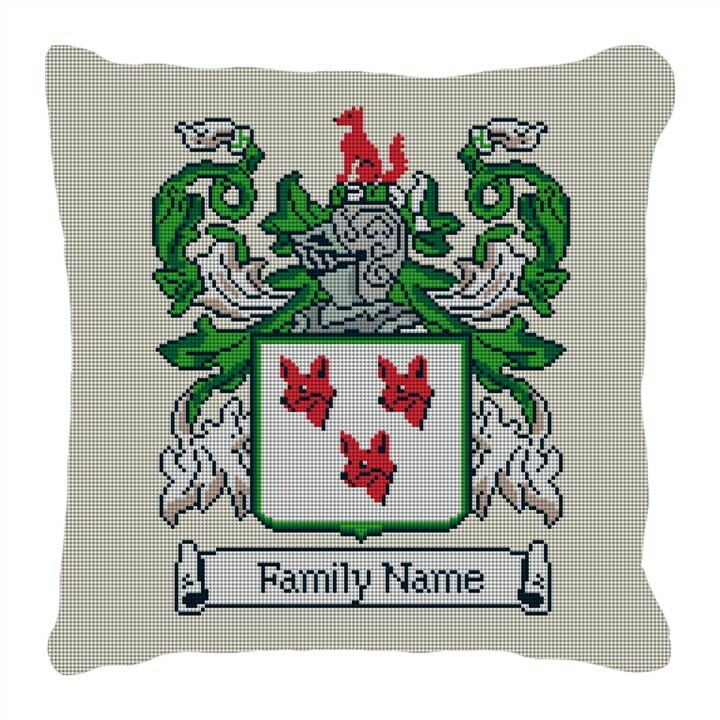 Needlepoint your family's crest! This design can go on the wall, or be made into a pillow. You can email (info@needlepaint.com) the crest or put the last name into the notes and we'll look it up and get back to you. Your crest will be featured with this knight and scroll backdrop. The colors will be changed to match the shield. The animal on the head will be changed to match, too.